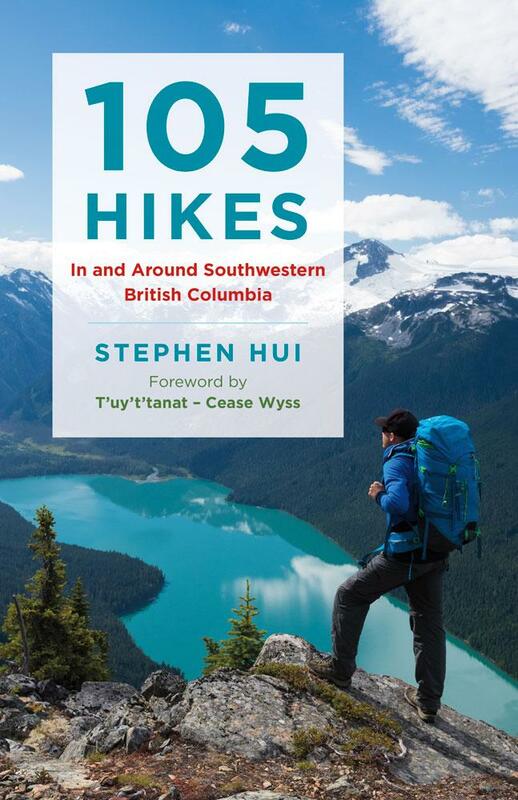 While 105 Hikes In and Around Southwestern British Columbia is the product of careful research, it’s rare for any book to go to print without error. Between editions, trails and roads are prone to changes to boot. Transit service change: Parkbus no longer stops at the Stawamus Chief parking lot. Disembark at Shannon Falls instead. Vehicle access change: All vehicles must park before the bridge, which is condemned as of September 2018. 4WD vehicles can no longer drive a bit farther. Vehicle access correction: From Callaghan Valley Road, turn left (not right) on Brandywine Creek Forest Service Road. Transit service change: Whistler Transit Bus 20 (Cheakamus) to Cheakamus River Road at Highway 99. Transit service changes: Whistler Transit Bus 5, 6, 7, 8, 20, 21, 30, or 32, or Pemberton Valley Transit Bus 99 (Pemberton Commuter) to Gondola Exchange. Transit service change: Whistler Transit Bus 30 (Emerald via Alpine) to Drifter Way at Alpine Way. Transit service change: Whistler Transit Bus 30 (Emerald via Alpine) to Mountain View Drive at Valley Drive. Map correction: The north arrow should point to the right (not up). Park rule change: Dogs are banned.